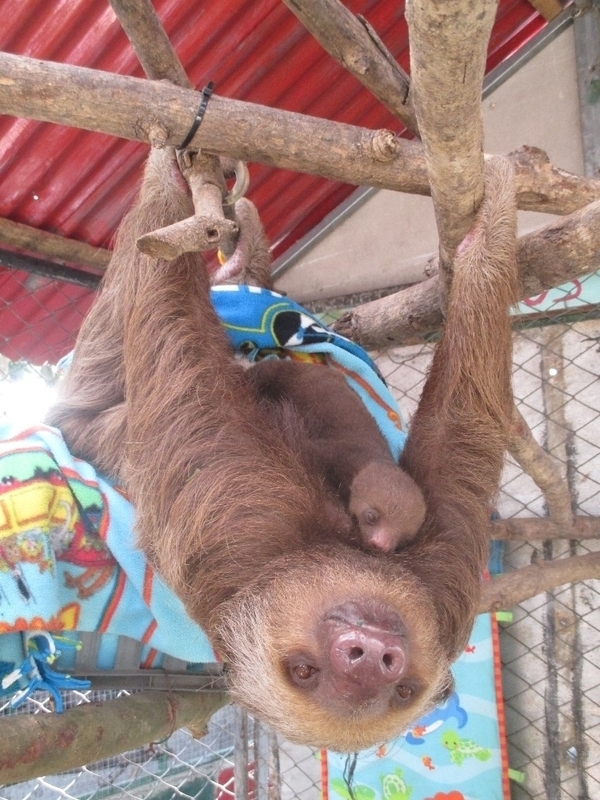 The Costa Rica Animal Rescue Center is a non-profit organization that gives animals a second chance at life. 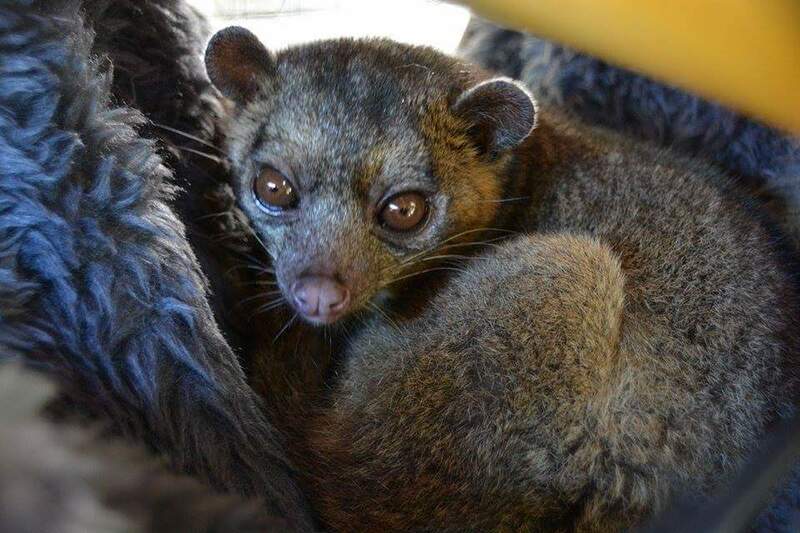 Our dedicated staff and selfless volunteers work tirelessly to help these animals heal, keep them safe, rehabilitate them, and eventually re-release them into their natural habitat in the Costa Rican rainforest. During their stay at our Rescue Center we want to provide the animals with the most beautiful environment to maintain their quality of lives with new toys and enrichment items. Of course any medical and veterinarian supply is urgently needed too. 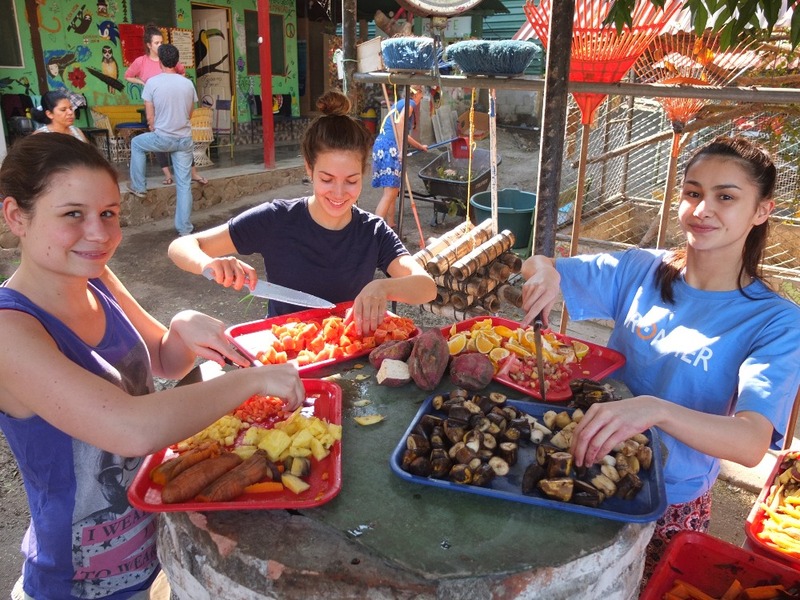 Because of the fact we do not receive any kind of governmental support, we rely on the volunteers work and donations! Every single donation, no matter how small, counts and means a lot to us! In 2004, Marielos Marice and Bernal Lizano (founders of the Costa Rica Animal Rescue Center) rented a 10-acre field in Moin, Costa Rica. Moin is near the city of Limon, an area of poverty and poor economic conditions. This land was rented from a Canadian Company, Canadian Eastern Developments or CASA Canada. The purpose of renting this land was to create a wildlife sanctuary and this location between the sea and river was the perfect location, as it was also a natural corridor for animals. Funded by private donations, with no help from government whatsover, an animal hospital was built, gardens created and paths constructed. There was a pool for turtles, a butterfly dome, and huge cages. Many animals were freed. 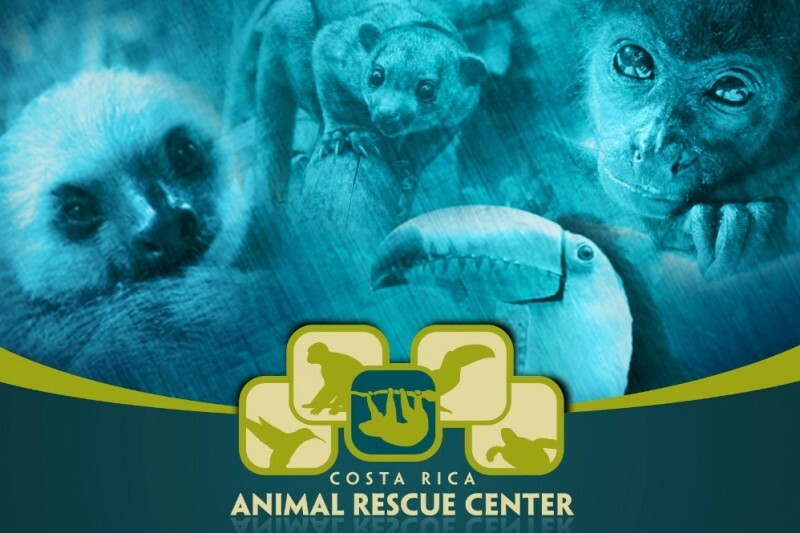 Over the years, the Costa Rica Animal Rescue Center (Paradero) got better and bigger. 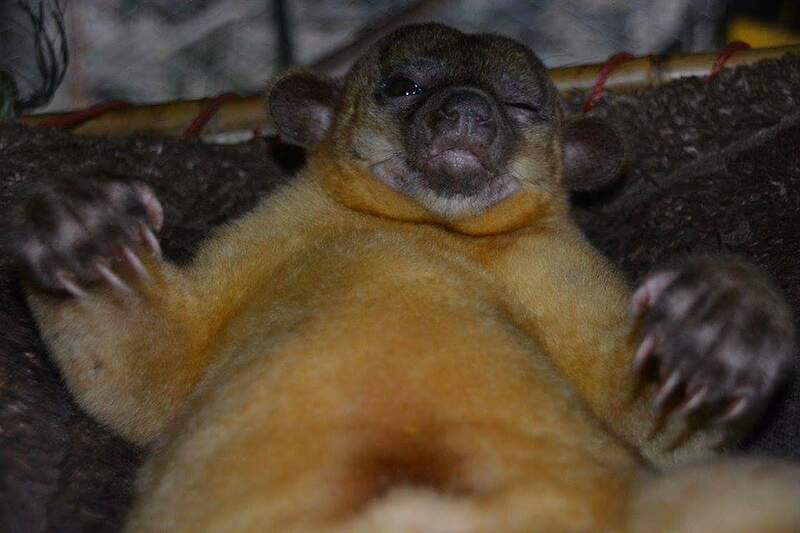 Tours were given to tourists, a language academy was on site and endangered and threatened animals were brought here to be cared for, rehabilitated, housed and often released back into the wild. Nearly every animal brought to the sanctuary was endangered due to massive destruction of protected areas. There were even manatees which were declared the national symbol for marine wildlife in Costa Rica in July 2014. The president of Costa Rica in 2013 was Laura Chinchilla, one of the least popular presidents in Latin America at that time. Under her leadership, the land the sanctuary was on became an area of public interest and with no consultation with the center, the land was expropriated from CASA Canada. No money was given to the center for improvements to the land and all funds were given to CASA Canada only. This is against Costa Rican Law. These ten acres of land were a natural corridor for wildlife and in 1995, RAMSAR had declared it a Wildlife Refuge, “crucial for humanitarian interest”. This conflict is presently in the courts and the government has attempted to erase the fact that the center was there at all. The 2 KM-long stretch of beach in front of Moin is a habitat for Leatherback Turtles. This was the largest nesting ground for the endangered species in the Caribbean. Many volunteers, including police, gave their time to help protect these animals. Jairo Mora Sandoval was one of them. He was a young sea turtle worker for an NGO and came to the beach regularly for years to help the turtles. On May 31, 2013 this young man was murdered. His naked, beaten body was tied behind a truck and he was dragged up and down the beach. Jairo died of asphyxiation. In July of that year, arrests were made and even though geolocators and phone transcripts put 2 men on the beach that night, there were no convictions, Evidence was "lost" and omitted under Judge Alvarado. As a result of this violent murder, the volunteers who patrolled the beach became afraid. The beach was no longer protected or safe, and became open to poachers. In 2013, a bid was launched to build a commercial port on the Moin beach where the Rescue Center was located. It was won by a company from The Netherlands who has 80-mega ports worldwide. In December 2013, pending an environmental study, the project was good to go. The company approached the center asking them to be the face of the project. Representatives came, took pictures and said they would stay in touch. The company also promised to build a learning center for schools on-site. Documents for the environmental assessment were lost 5 times by the government and when the company finally came to the table, it was with an assessment lead by biologist Mr. Chacon. Mr. Chacon once worked with and was Jairo Sandoval’s boss. He now worked as the biologist for the Dutch company. He studied the beach and declared that there would be no negative environmental impact as there were no Leatherbacks on the beach! This final assessment was done quietly and gave the company the environmental green-light they needed to move forward and build their mega-port. At this time Marielos and Bernal went to the company, certain that they would save the center. The company wanted no part of it. In 2015, there was a huge celebration of the sale of the land and creation of a port, and congratulations went out from the government to the company. Police removed Sarita Chinchilla(Coordinator of the volunteers/Manager of the Center) who ran the Costa Rica Animal Rescue Center (Paradero) Sanctuary from the celebrations. The ten acres of land where Jairo was killed and 40 acres of sea land were taken for the building of the proposed port. A 3 KM road was built on the biological corridor. In January 2015, the company asked the center to vacate the land. Bernal would not give up the Rescue Center without a fight and contacted an environmental lawyer, Lic. Rojas, who wanted to help save the sanctuary. Mr. Rojas said that everything that was done to put the port in place was illegal. On February 4, 2015 the center was given 5 days to move 67 animals from the site. They had no money, no trucks and no place to go. They were told that if the center was still in operation on February 9th then all the animals would be taken. Mr. Rojas stepped in and managed to get an extension of one month. This is the day Moin cried. During this month, the government came in and cut down surrounding trees, as instructed by the shipping company. Monkeys (three different species), sloths and birds lost their habitat and died. The sound of chainsaws and machinery surrounded the center. During this time, a drive-by shooting put 6 bullets in Mr. Rojas’ home, and Sarita Chinchilla was followed and watched, and feared for her life. Her dog disappeared. Conservationists turned their backs on her, did not listen to her and wrote her off as possibly suicidal, as rumours had been spread that she would take her own life due to pressure. This was not true. Four hours drive away, a veterinarian offered the center his 12 acres to recreate the Wildlife Center. During the next frantic 3 weeks trucks went back and forth, sometimes making 2 round trips a day to transfer cages and animals. 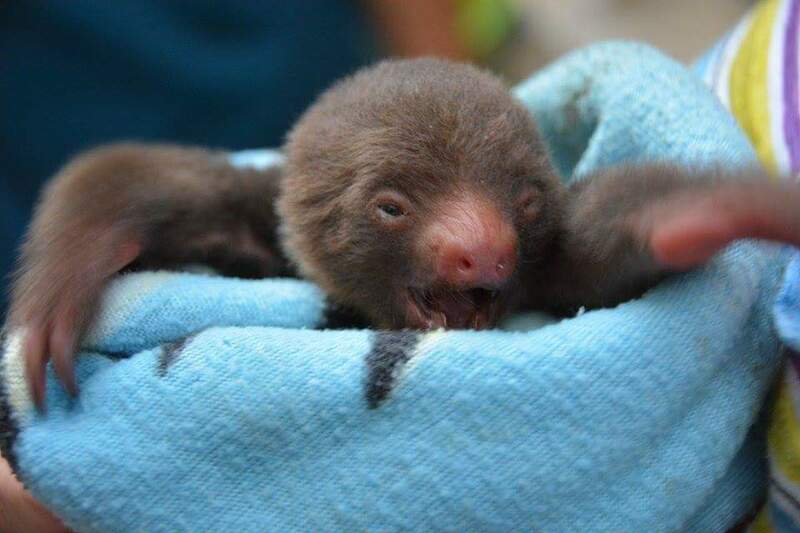 Due to the travel and stress on the animals, 14 sloths, an owl and 5 2-toed sloths that the center had, died. The spirit of the volunteers kept the center alive. Two weeks after the move there were 14 volunteers and by in July 2015 the number had gone up to 38 volunteers. The building of the port is moving forward. To make the cement that will create a 2-acre island in the sea, 7 million tons of stone are needed, so on top of all the destruction already done to the biological area of Moin, a mountain is being mined. There are 2 ports on this coast already. Wouldn't it have been better to improve these ports rather than build another one? Will this cause the other ports to go bankrupt so that the company has complete control? The rescue center is currently renting a small 1.5 acre area, where it struggles to create a stimulating and comfortable habitat not only for the animals but also for the workers and the volunteers. The founders have found a 4.5 acre property with a river, fruit trees, large accomodation for volunteers and workers, a lot of space for bigger enclosures to guarantee better living conditions for the animals in our care and those to come, a pool for turtle rehabilitation and a release area for releasable animals among other great things.The new property is not very far away from our current location, and will improve the life of a lot of animals who need help and make the stay of volunteers and workers more comfortable. 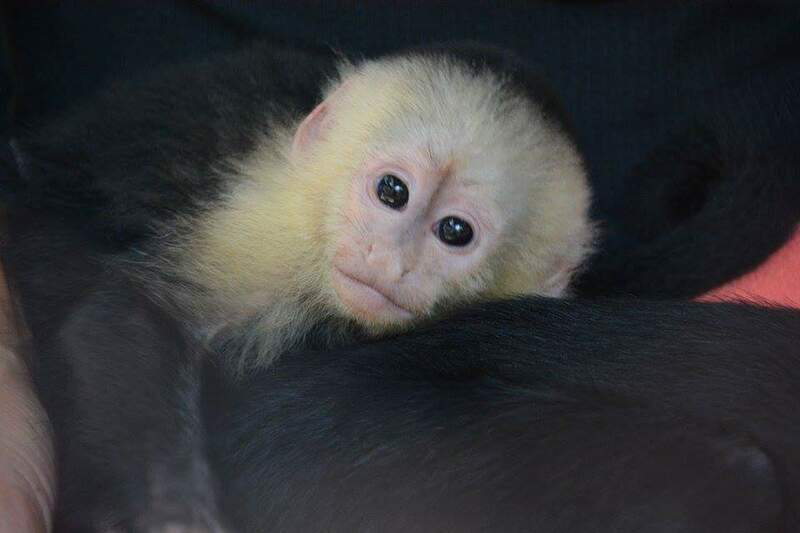 However, due to the struggle of the Rescue Center for the past years describe above, funds are running low. This is why we need your help raising money for the new property. 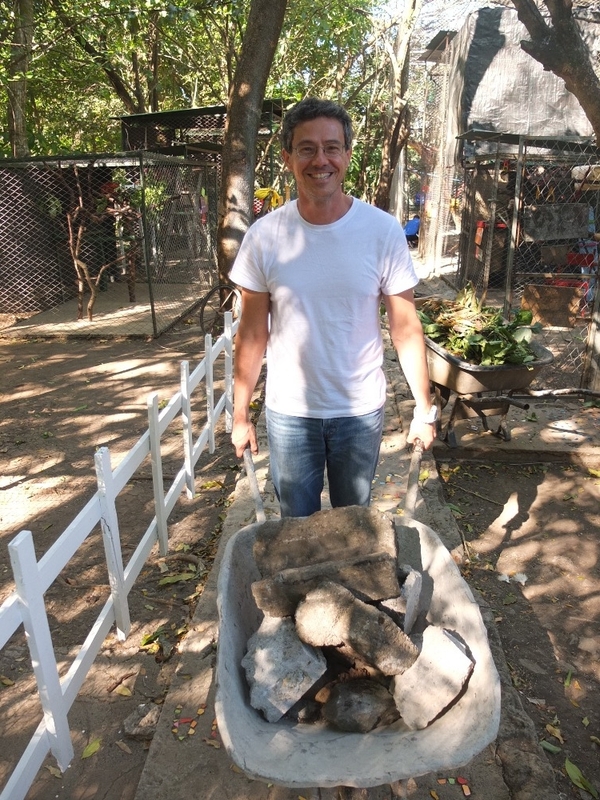 Thank you a lot for your help, however small, we really appreciate it - it really makes a difference for the Rescue Center's future and its ability to help animals and the environment. 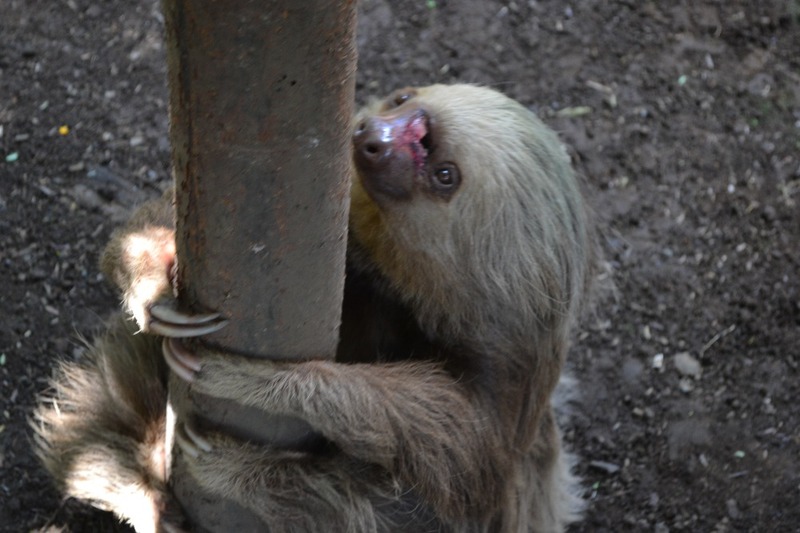 Das Costa Rica Animal Rescue Center ist eine unabhängige Organisation, die Tieren eine zweite Chance im Leben gibt. Hierbei verfolgen wir auf freiweilliger Basis ausschliesslich dieses Ziel. Unser ausgebildetes Personal und unsere selbstlosen Voluntäre arbeiten unermütlich um diesen Tieren zu helfen, sie zu schützen, sie bei der Rehabilitation zu unterstützen, und sie nach Möglichkeit wieder in ihren Natürlichen Lebensraum im costarikanischen Regenwald auszusetzen. Während ihrem Aufenthalt im Rescue Center möchten wir den Tieren das schönste Umfeld bieten, um ihre Lebensqualität mit verschiedenen Spielzeugen und Beschäftigungen aufrecht zu erhalten. Selbstverständlich wird dafür auch ständig tiermedizinische Unterstützung benötigt. Da wir in keiner Form Unterstützung von der Regierung bekommen, sind wir auf die Unsterstützung der Freiwilligenarbeit und Spenden angewiesen. Jede einzelne Spende – sei sie noch so klein – zählt und bedeutet uns eine Menge! Im Jahr 2004 mieteten Marielos Marice und Bernal Lizano (Gründer des “Costa Rica Animal Rescue Center”) eine vier Hektar grosse Fläche in Moin, Costa Rica. Moin liegt in der Nähe von Limon, ein Gebiet geprägt von Armut und schlechten wirtschaftlichen Verhältnissen. Dieses Land wurde gepachtet von einer Kanadischen Firma, “Canadian Eastern Developments” oder “CASA Canada”. Die Absicht dieses Land zu mieten, war eine Tierauffangstation ins Leben zu rufen, wofür dieser Ort zwischen dem Meer und einem Fluss ebenso aufgrund der natürlichen Umgebung für die Tiere wie geschaffen war. Durch finanzielle Unterstützung von privaten Spenden, jedoch ohne jegliche Hilfe der Regierung, konnte ein Tierkrankenhaus gebaut, Gärten errichtet und Wege geschaffen werden. Es gab ein Becken für die Schildkröten, einen Schmetterlingsgarten und riesige Gehege. Viele Tiere wurden ausgewildert und über die Jahre erweiterte sich das Costa Rica Rescue Center (Paradero). Es wurden Tours für Touristen angeboten, gleichzeitig war eine Sprachschule mit inbegriffen und viele gefährdete Tiere wurden aufgenommen, gepflegt, rehabilitiert und anschliessend wieder freigelassen. Beinahe jedes der aufgenommenen Tiere wurde durch die Zerstörung geschützter Gebiete gefährdet. Einige der Seekühe wurden sogar zu national Symbolen der Meerestierwelt von Costa Rica im Juli 2014 erklärt. In 2013 regierte Laura Chinchilla, einer der unbeliebtesten Präsidenten Latein Amerikas, das Land und unter ihrer Führung zog das Gebiet des Centers die Aufmerksamkeit der Öffentlichkeit auf sich und somit wurde der Besitz des Landes dem Center entzogen und an CASA Canada verkauft. Wider dem Costa Ricanischen Gesetz erhielt das Center nichts von den Einnahmen, da diese direct an CASA Canada gingen.Obwohl das Land seit 1995 zum Naturschutzgebiet erklärt worden ist, welches “essenziell für humanitäre Interessen” ist, liegt dieser Konflikt immernoch im Gericht vor, trotz Bemühungen ihn aus den Archiven zu löschen. Der 2km lange Strand vor der Stadt Moin ist der grösste Lebensraum Lederrücken Schildkröten, welche vom Aussterben bedroht sind. Jairo Mora Sandoval, ein junger und leidenschaftlicher Retter von Schildkröten, half zusammen mit der Polizei und anderen Voluntären diese Tiere zu beschützen. Am 31sten Mai, 2013 wurde dieser junge Mann brutal ermordet. Sein nackter, misshandelter Körper wurde hinter einem Truck den Strand rauf und runter gezogen, bis er erstickte. Obwohl Haftbefehle erlassen wurden, fand keine Verurteilung statt, da die Beweise unter den Tisch gekehrt wurden. Aufgrund dieser brutalen Ermordung, trauten die Voluntäre sich nicht mehr den Strand zu patrullieren und somit blieb er ungeschützt und unsicher. In 2013 wurden Pläne für einen kommerziellen Hafen gemacht, der dort gebaut warden sollte, wo sich das Rescue Center befand. Ein niederländisches Unternehmen, welches weltweit mehrere dieser Häfen besass, durfte das Projekt im December 2013 angehen, obwohl eine Umwelt Studie noch im Gange war. Das Unternehmen versuchte das Center zu überreden sich als Gesicht des Projekts darzustellen und leiteten die ersten Treffen ein. Sie machten leere Versprechungen über Verbesserungen des Centers, jedoch sind erneut wichtige Dokumente bei den Verhandlungen “verloren” gegangen. Als es dann endlich dazu kam, wurde die Firma von Mr. Chacon repräsentiert, welcher Biologe und gleichzeitig der ehemalige Boss von Jairo Sandoval war. Er versicherte, dass die Bauarbeiten und die Errichtung des Hafens keine negativen Einflüsse auf die Umwelt und somit die gefährdeten Lederschildkröten habe. Da diese letzte Begutachtung im Stillen geschah, hatte die Firma das benötigte grüne Licht für die bevorstehende Konstruktion ihres Mega Hafens. Marielos und Bernals Bemühungen das Center zu retten, scheiterten. Als der Bau des Hafens in 2015 begann, wurde dies gross gefeiert und die Regierung gratulierte dem Unternehmen für den Kauf. Sara Chinchilla, die Leiterin des Costa Rica Animal Rescue Center, wurde von der Polizei aus den Feierlichkeiten enfernt. Die 10 Hektar Land auf dem Jairo ermordet wurde und die zugehörigen 40 Hektar Ozean wurden für den Bau des Hafens beschlagnahmt und eine 3 Kilometer lange Strasse wurde durch den biologischen Bereich gezogen. Im Januar 2015 wurde das Center schliesslich gezwungen die Fläche zu räumen, jedoch war Bernal nicht bereit das Center aufzugeben und engagierte einen Umwelt Anwalt, Mr. Rojas. Dieser versuchte dem Center helfen und bestätigte ebenfalls, dass alle Vorgänge die zu gunsten des Hafens statt fanden, illegal waren. Nichtsdestotrotz kam am 4ten Februar 2015 die Nachricht, dass das Center innerhalb von 5 Tagen den Platz räumen, und damit 67 Tiere verlagern sollte. Doch dies schien unmöglich ohne Geld, ohne Laster und ohne einen Zufluchtsort. Die Firma drohte, dass falls das Center bis zum 9ten Februar nicht verschwunden sei, die Tiere beschlagnamt werden. Jedoch konnte Mr. Rojas eine Verlängerung von einem Monat rausschlagen. Dies ist der Tag an dem Moin weinte. In diesem einem Monat ordnete die Firma, mit Hilfe der Regierung, an die Bäume der Umgebung abzuholzen. 3 verschiedene Arten von Affen haben ihren Lebensraum verloren und die Geräusche der Kettensägen und anderer Maschinen erschütterte das Center. Darüber hinaus schoss ein vorbeifahrendes Auto mehrere Kugeln in das Haus von Mr. Rojas und Sarita Chinchilla wurde verfolgt und musste um ihr Leben bangen. Konservationisten kehrten ihr den Rücken zu, schrieben sie als mental krank ab auf Grund des enormen Drucks der auf ihr lastete. Dies war eine Lüge. Eine 4 Stunden Autofahrt entfernt, bot ein Tierarzt seine 12 Hektar Land dem Center für dessen Wiederaufbau an. Während der nächsten 3 Wochen fuhren die Laster pausenlos zwischen den zwei Orten hin und her, um die Tiere zu verlagern. Jedoch hatte die Reise und der Stress schreckliche Auswirkungen auf die Tiere. 14 Faultiere, 1 Eule und die einzigen übrig gebliebenen 2-Zehen Faultiere, die das Center hatte, starben. Nur die Motivation der Voluntäre hielt das Center am Leben. 2 Wochen nach dem Umzug halfen bereits 14 Voluntäre und im Juli waren es schon 38. Der Bau des Hafens ist immernoch im Gange. Um eine 2 Hektar Insel mitten im Ozean vor dem Hafen zu bauen wird nun auch noch ein Berg demoliert, obwohl der Umwelt in Moin schon mehr als genug geschadet worden ist. Es gibt bereits 2 Häfen an dieser Küste. Hätten diese nicht einfach verbessert werden sollen? Werden die anderen Häfen nun ihr Geschäft verlieren, damit die Firma die komplette Kontrolle errungen hat? Zurzeit mietet das Rescue Center eine kleine Fläche von 1,5 Hektar. Hier versucht es mit grossen Bemühungen einen stimulierenden und gemütlichen Lebensraum nicht nur für die Tiere, aber auch für die Arbeiter und Voluntäre zu schaffen. Die Gründer haben jedoch ein Grundstück von 4,5 Hektar Fläche gefunden, durch welches sogar ein Fluss fliesst, in dem es natürliche Frucht Bäume gibt und die Voluntäre und Arbeiter in besseren Konditionen leben könnten. Es gibt mehr Plätz für grössere und artgerechte Gehege für die Tiere in unserer Obhut. 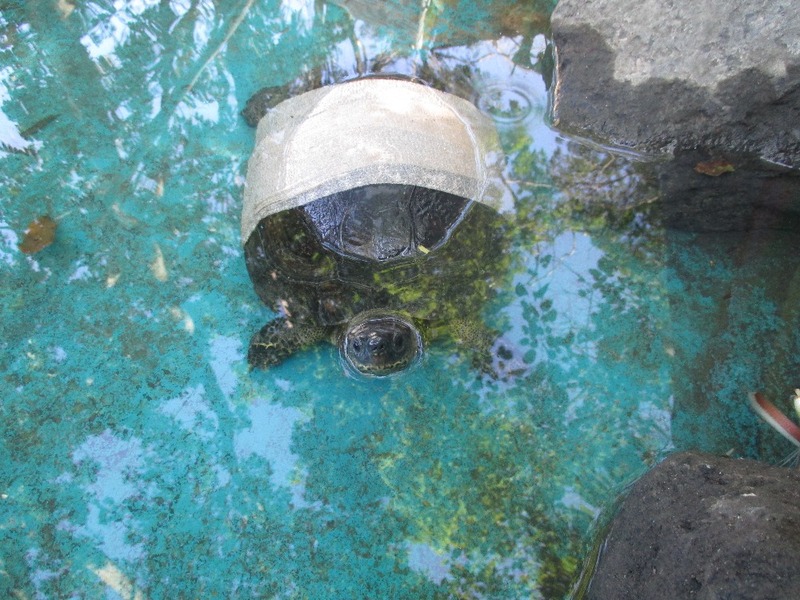 Unter anderem könnte ein Becken für Schildkröten Rehabilitation gebaut werden und ein Bereich in dem die Tiere zurück in die Natur entlassen werden. Dieses Grundstück ist nicht weit von unserem jetzigen Grundstück und es bieten bessere Lebensbedingungen für alle Parteien. Jedoch fehlen für einen solchen dringend benötigten Umzug die finanziellen Mittel. Deshalb brauchen wir und die Tiere nun ihre Hilfe um Spenden zu sammeln für unser neues Grundstück! Wir bedanken uns aus tiefstem Herzen für Ihre Hilfe ! Egal wie gross oder klein Ihre Spende sein mag, wir schätzen sie sehr! Sie helfen uns die Zukunft des Rescue Centers zu sichern und somit auch die Tiere und die Umwelt zu schützen. Thank you Tayla Alexander thank a lot for your donation where can I send you the t shirt? You get a post card from the center. You get one of our very own t-shirts that shows you are supporting our center. One of our rescues will paint a beautiful painting for you. Every piece is one of a kind. You have the possibility to stay 1 whole week as a special guest in our center and you get to enjoy all the perks our sanctuary has to offer. With that donation you get a free stay of 2 weeks in the center like a king/queen and an animal will be named by you!!! How amazing is that!